Winter wheel care can’t be understated, especially if you live in an area where snowy roads prompt road workers to scatter sand and salt across the pavement. “Environmental contaminants eat the clear coat and oxidize aluminum. If the chemicals are left on too long, the wheel’s finishes are destroyed and can’t be restored without hours of polishing and work,” said Adam Bateman, the sales and marketing director for Wizards Products, a polish and wax company based in Minnesota. Just like a paint job, a layer of wheel protectant or traditional wax provides a shield of sorts for wheels. Such protection takes on added significance in the winter. Salts, acids and chemicals used to clear snow and ice of roadways are extremely caustic to a wheel’s finishes, Bateman said. Chemicals used to remove ice and snow from roadways are extremely caustic and will damage a wheel’s finish. A layer of polish or traditional auto wax provides protection against filthy winter roads. Clean your wheels every other week, especially if you live in snow. 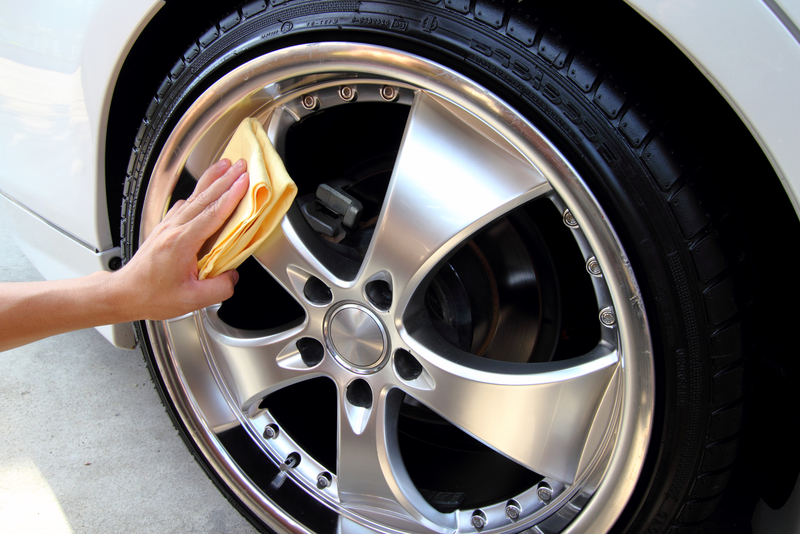 At a minimum clean wheels every time you wash the vehicle exterior. Cleaning your wheels during the winter is less about making your car look great and more about preventing corrosion and rust from taking hold. Yet, great looking wheels enhance the appeal and value of your vehicle.